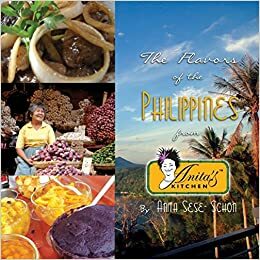 The Flavors of Anita's Kitchen – Sharing the Filipino Taste. At the age of 79, I went back to college. I was not serious in my studies at first, but I just wanted to get out of the house and get dressed up. I was becoming to be a bag lady, and then I thought I knew them all since I have been to college… Read More Yes, I Can! A year ago, on July 3, 2017, I arrived at Burbank Airport, in California. I came to meet a cyber friend, the Director of Johnny Mathis’ archives. Since I had relatives around the area, I called my first cousin to let her know I will be in the area. She was so excited and she… Read More Touched by Angels! My 80-year-old body was not able to do the job I applied for. I got chilled to the bones after working, standing on the cold, refrigerated workshop for 14 hours. Well, it was a good try, I was able to fulfill another dream, working in the Salmon Cannery. Monday, June 25, I left the shop after four… Read More Where the Journey Ends! How Do I Keep the Music Playing? My life has not all been rosy. There were pains, failures, sadness, happiness and everything life had to offer. My parents struggled to send me to college, sometimes just sending me with promissory notes to pay for my tuition fees. I worked at our tailoring shop, hemming, sewing button holes, ironing and whatever errands my… Read More How Do I Keep the Music Playing? Was I hungry for Hamburger or I just wanted to work? I dialed the number and ordered Big Mac, Big Fries and Coke. I was told it will take 30 minutes. The Delivery boy arrived less than 30 minutes, very efficient. I asked if I can interview him. Jim is 40 years old and delivering… Read More McDonald’s Delivers! This cook book is a collection of my inimitable recipes. It is also a travelogue and a gallery of biographical sketch of me and the people I meet. Visit their Facebook page by clicking on the picture. In lieu of NitzKitchen website, I am now inviting you all to click on my new blog, where you can see more of my postings and activities. I have a very talented webmaster, a 16 year-old home-schooled student by her parents, my Godchildren, Chay and Dennis Reyes of ReyesCreatives. Please enjoy the website and you are all free to make comments and suggestions. Anton Reyes is the most talented Godgrandchild of mine. He lives in the Philippines, as a talented Contemporary dancer, a blogger, and a frustrated photographer, he manages this site. Visit his blog by clicking on his picture.